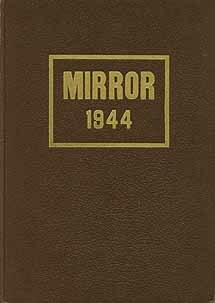 Now everything you wanted to know about the IHS Class of 1944 is at your fingertips....as published in the 1941 Mirror Class History. In addition, you can also review the awards and program for the Class of 1944 Commencement Exercises, as published in "The Evening Telegram". Mr. John L. Monohan Sr., IHS 1944, age 88, of Hamilton Place, passed away Monday, July 8, 2013, at St. Elizabeth Medical Center. He was born October 3, 1924, in Cleveland, Ohio, a son of Christopher and Blanche Getman Monohan, and grew up in Ilion and attended Ilion schools. John served in the US Army in the South Pacific during World War II. On August 19, 1950, he was united in marriage to Helen 'Lolly' Sanders, a blessed union of almost 63 years. 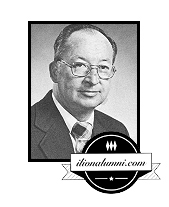 John was a graduate of Ilion High School and received his bachelor's degree from Syracuse University in 1950. He received his post-graduate work at University of Rochester, Albany State and Cornell University. John retired from Ilion Central School where he taught science. John also coached the Ilion tennis team for many years. He was an avid golfer and member of Maple Crest Golf Course, member of NYS Retired Teachers' Association and was a life member of the Knights of Columbus, Utica Council 189 and its 4th Degree Assembly, and was a member of St. Mary's Church, Clinton. He is survived by his wife, Helen; four daughters, two sons and their spouses, Christine and Dr. John Menard of Clinton, Kathleen and Matthew Romano of Moreau, Mary Ellen and Thomas Buccafurno of Rochester, Susan and Joseph Crua of Schoharie, John L. Monohan, Jr., of Clinton and James and Nola Monohan of Clinton; six grandchildren, Elizabeth and Ben Coven of Boston, Sarah Menard of Boston, Christopher Romano of Boston, Mary Kate Monohan of NYC, Lt. James and Winnie Monohan of Washington, DC, and John and Julia Monohan of Phoenix, AZ; a great-grandson, John Lawrence Monohan; two brothers, Richard Monohan of Mohawk and Christopher Monohan of Ilion; and many nieces and nephews. He was predeceased by his parents and his brother, Thomas. "I am visiting my brother , Jon, in Orlando, Florida. My husband, Donald, is with me."